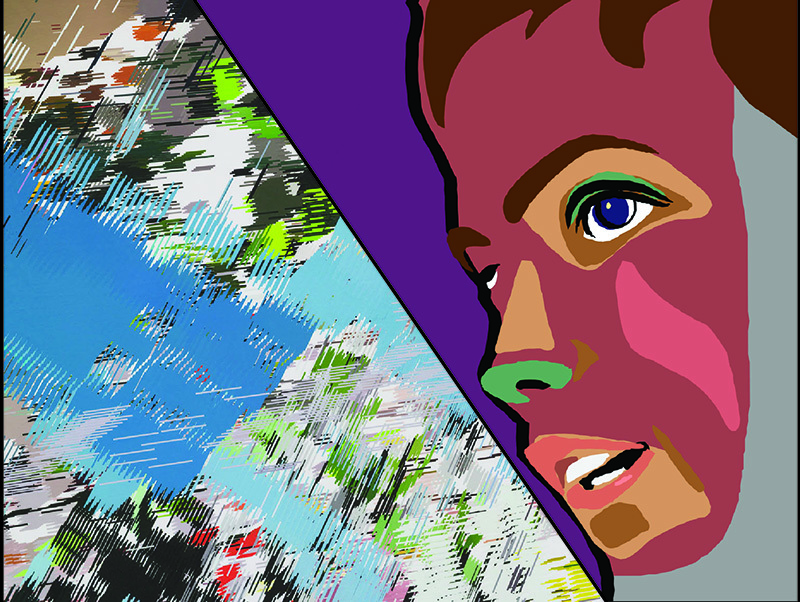 Join Landmarks for a Q&A with Landmarks artist Casey Reas and Austin filmmaker Bob Sabiston on the topic of rotoscoping, a technique where artists trace photographic images to create an animation. Casey Reas has emerged as one of the leading artists in the field of software art. His work bridges the gap between the technical world of programming and the visual worlds of art and design. Reas lives and works in Los Angeles, where he is a professor in the Department of Design Media Arts at UCLA. Reas and his colleague Ben Fry initiated Processing, a free, open-source programming language that gives visual artists and designers tools to creatively express themselves through software. Today, hundreds of thousands of students, artists and designers use Processing for education, prototyping and production. In 2015, Landmarks commissioned "A Mathematical Theory of Communication", a mural in two parts for the administrative suites in the Gates Dell Complex. Bob Sabiston is a film art director, computer programmer, and creator of the Rotoshop software program for computer animation. He began developing software as an undergraduate and then graduate researcher in the MIT Media Lab. In 1997, he developed his interpolating rotoscope program, Rotoshop. His films and animations have been screened at film festivals and are housed in museum collections. Parking is available at the San Jacinto Garage. For additional parking options and parking for visitors with disabilities, please visit Parking and Transportation Services.